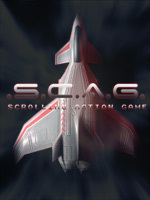 This demo includes the first 3 levels of .S.C.A.G. and let you face one of the bosses. Shoot enemies to get the rockets powerup. Note: this demo does not include new levels and new graphics!